After being successful as a pioneer in implementing B20 (use of Vegetable Fuels for a mixture of diesel fuel by 20%), the Government is currently preparing a trial of the use of 30% biodiesel (B30) on land vehicles. "There is no country anywhere that uses B20, except Indonesia. We are starting, we are conducting a trial, we are also implementing it. And now we are preparing a trial (road test) for B30, 30 percent palm oil (FAME) on solar, "said Head of the Energy and Mineral Resources Research and Development Agency, Dadan Kusdiana at the Workshop on Rural Energy and Bioenergy Development Based on Renewable Energy at the Bogor Agricultural Institute (IPB), Friday (12/4). 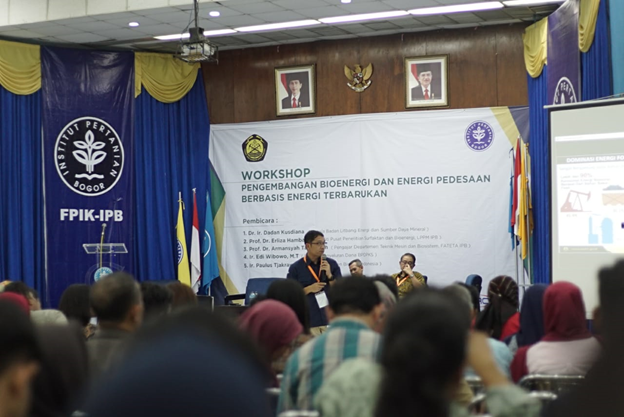 In detail, Dadan said, before being implemented later for vehicles, B30 will go through various types of international standard tests which are escorted by various parties, including the Ministry of Energy and Mineral Resources, BPPT, Aprobi, Gaikindo, and Pertamina. "We will prepare road tests in the near future and are expected to produce positive results," he continued. Dadan further explained, after mandatory biodiesel was set since 2016, from year to year the production and utilization of biodiesel continued to increase. Domestic consumption is expected to increase through the expansion of B20, the PSO (public service obligation) instructed by the President in 2018. The Ministry of Energy and Mineral Resources noted that in 2018 domestic consumption rose 45 percent or around 3.75 million kilo liters compared to 2017. The success of the B20 implementation is inseparable from the Government's efforts to provide Palm Fund incentives to cover the difference between the Biodiesel Market Index Price (HIP) and Solar HIP.